I’ve had the privilege of working with some of the most talented and beautiful souls in the Tallahassee wedding industry. This shoot is evident of that. 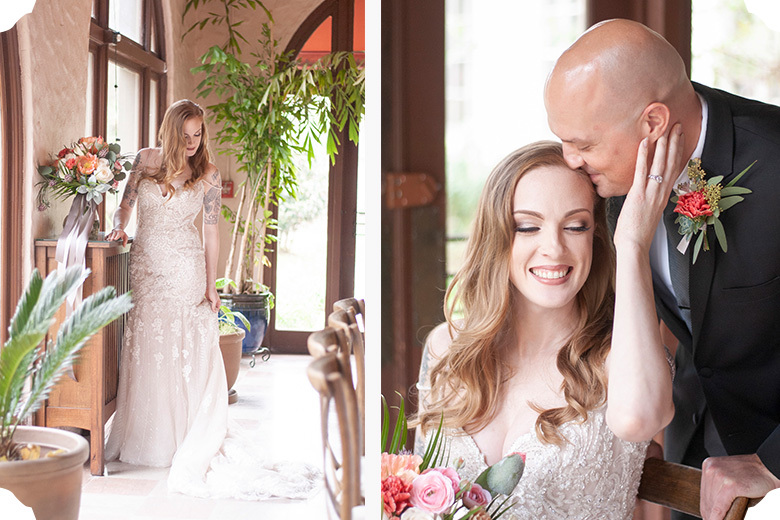 The Tallahassee wedding vendors involved with this shoot are all members of TAWP (Tallahassee Association of Wedding Professionals) and we teamed up to put on this Old Florida styled wedding for our upcoming Wedding Show. If you know me, then you know I love love love Old Florida vibes. Think Greetings from Florida vintage postcard meets river cruise. 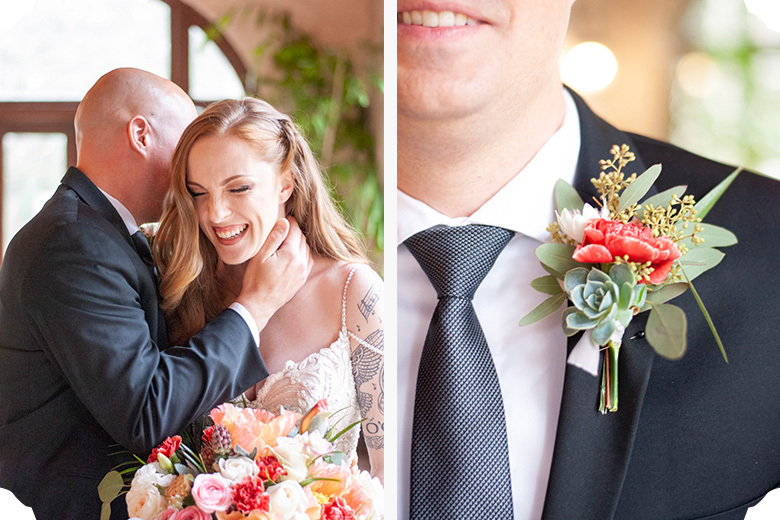 We wanted to really punch up Pantone’s 2019 Color of the Year, Coral, and what better way than with an Old Florida styled wedding? 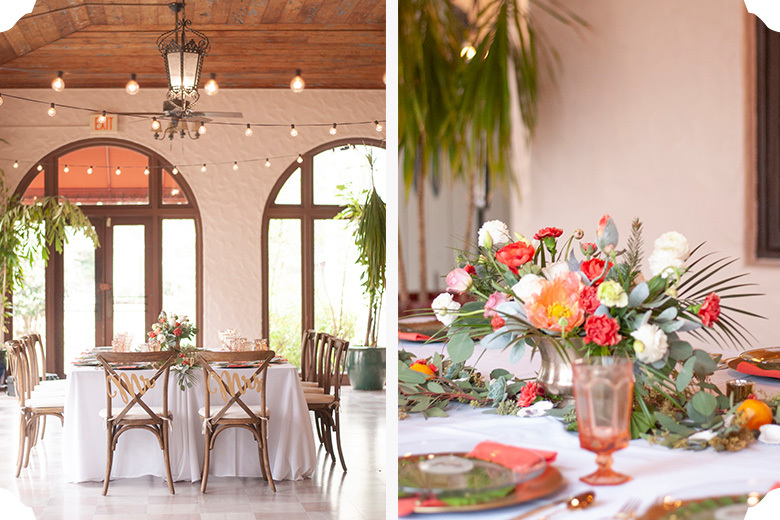 If you follow any of the Tallahassee wedding vendors involved with this Old Florida styled wedding shoot on social media (links to everyone involved at the end), then you’re going to see tons of this coral wedding inspiration in the coming days. And if you’re a recently engaged Tallahassee couple, then you really need to come to TAWP’s 2019 Wedding Show. 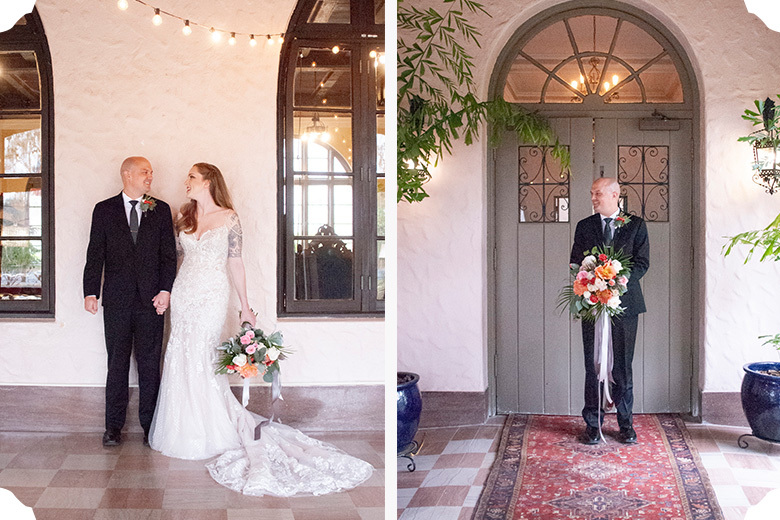 It’s being held at the gorgeous Old Florida styled wedding venue you see in all these photos, The Lodge at Wakulla Springs. For more inspiration on how to use Pantone’s 2019 Color of the Year, Living Coral, check out my previous blog post. 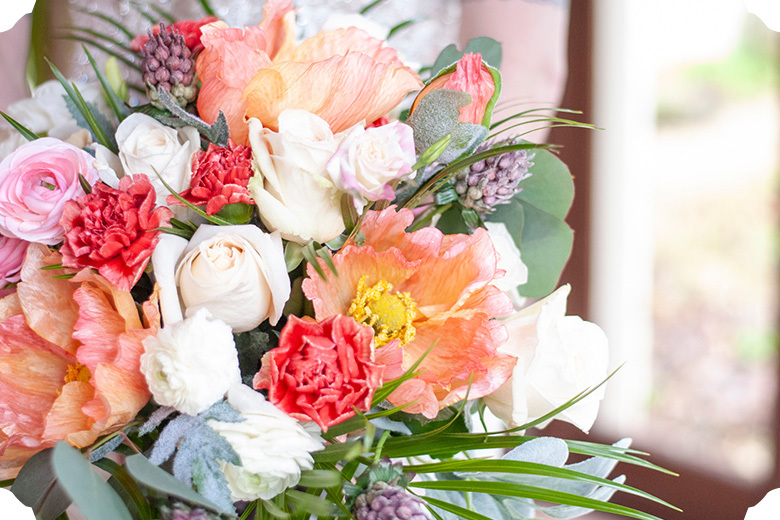 And check out these jaw-dropping florals by A Country Rose. This centerpiece was so stunning I had to capture it by itself, keep scrolling to see all the bouquets Annette provided. 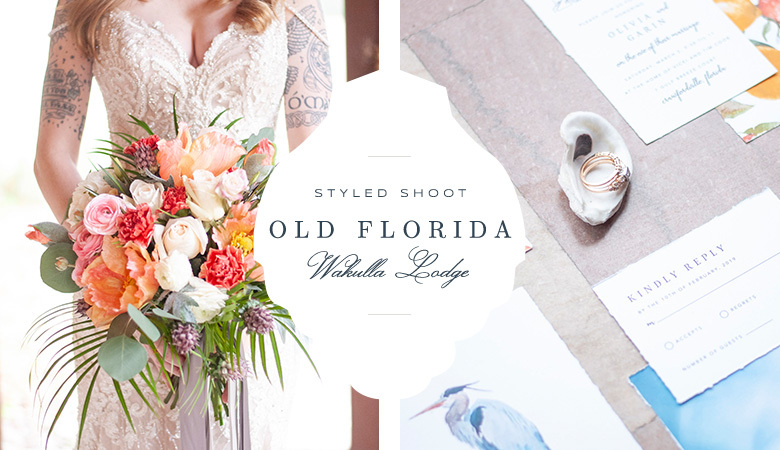 Perfect for this Old Florida styled wedding shoot. So in keeping with the Old Florida styled wedding vibes, we decided on a dessert board. Not only are they super trendy right now, they were actually quite popular several decades ago. Ours featured citrus, local honey comb, and Florida shaped sugar cookies! 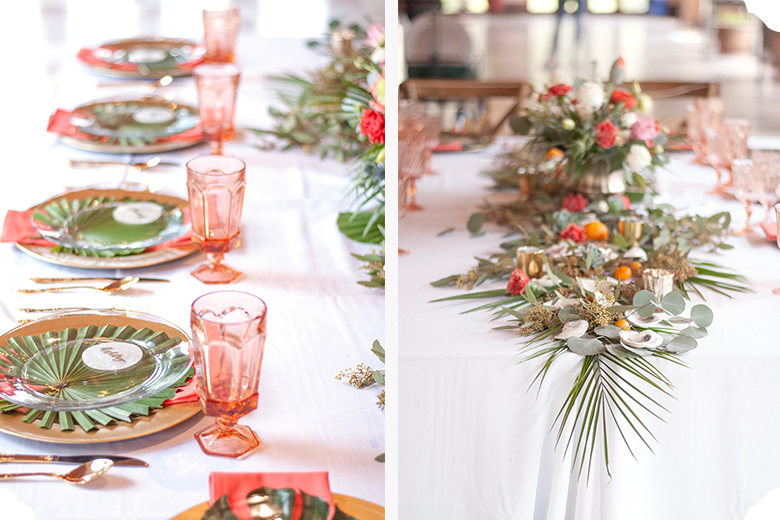 Look at those perfect pops of coral in the napkins and goblets too! Courtesy of A Piece Of Cake Event Planning. I can’t get over how the tropical foliage hung down the side of the table. Oyster shells and citrus, along with gold chargers and capiz shell name cards really made this Old Florida styled wedding theme come to life. 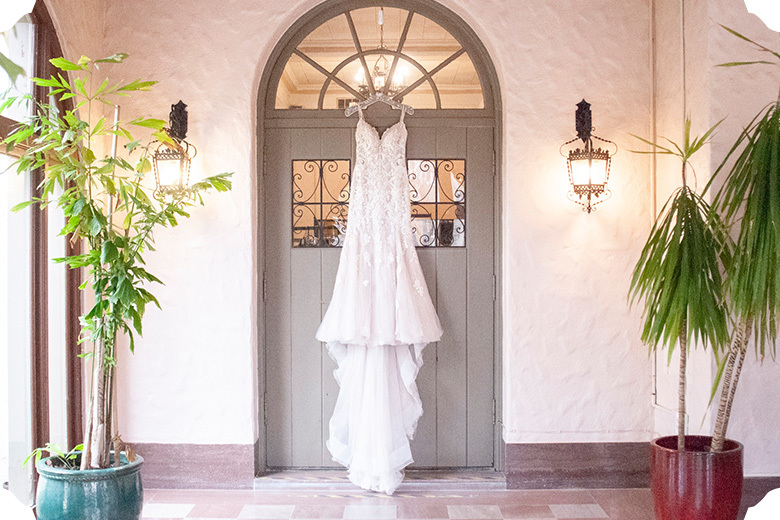 This stunning gown from Vocelle’s was exquisite. And the rosy-sand colored bridesmaid gowns paired with it perfectly. And the wedding stationery for this Old Florida styled wedding pulled elements from both the vintage citrus and the everglades. 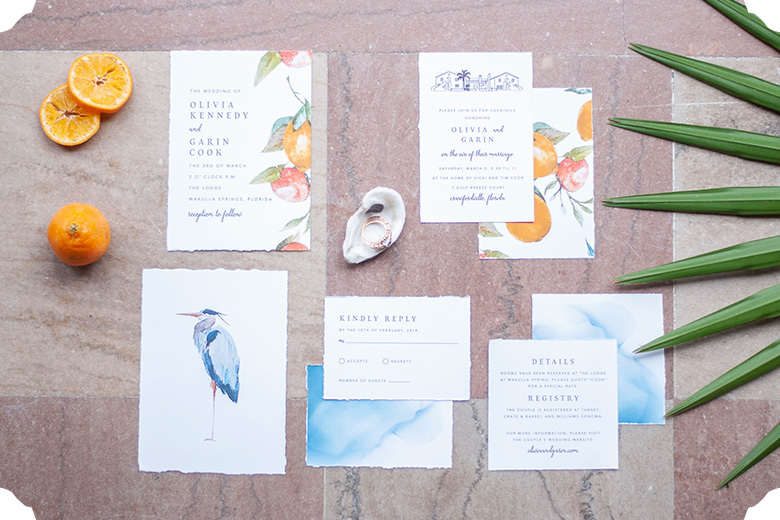 Watercolor oranges and a stork tell guests exactly what to expect from this event. 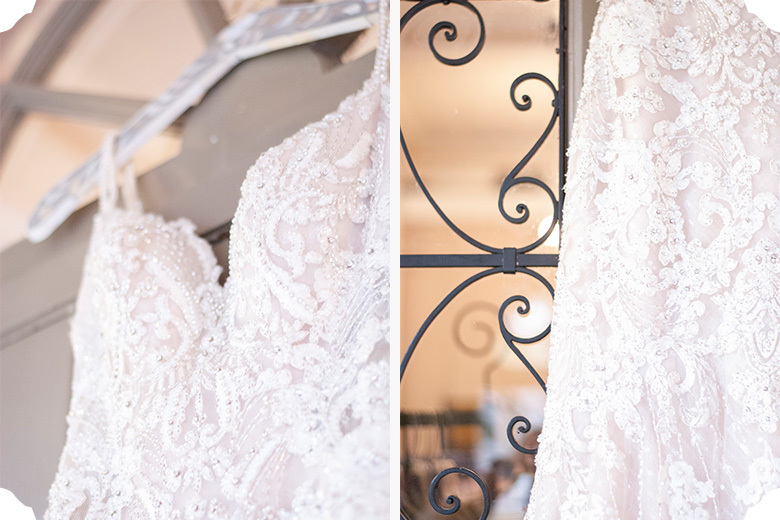 So if you were wowed by this Old Florida styled wedding shoot, then you’ll want to meet the vendors responsible for putting it all together. 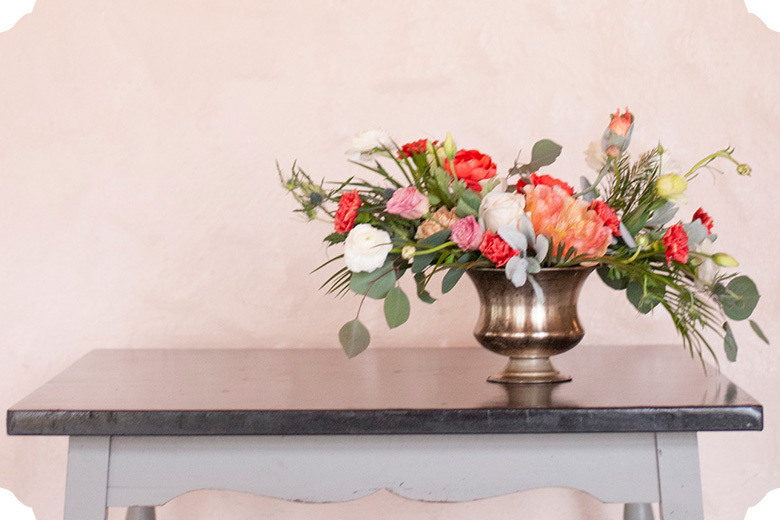 We’ll be at the 2019 TAWP Wedding Show, Sunday March 3, 2-5pm at The Lodge. And if you opt to purchase the VIP Tickets, which I highly suggest, you’ll get over $1500 worth of discounts. And you get your own super adorable reusable, Old Florida styled jute bag full of other goodies too!